To my readers who celebrate, happy Independence Day! 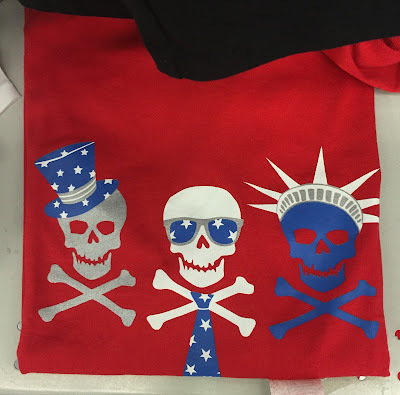 I almost bought this incredibly patriotic t-shirt I found at Meijers (my grocery store of choice). Happy (belated) 4th! That shirt certainly is patriotic. If it's on clearance next time you go shopping, perhaps you should grab it for next year! It was a very relaxed weekend, which was nice! I honestly couldn't decide if it was patriotic or making some statement about America's history and violence, or something.